Subaru Only Road Rally. 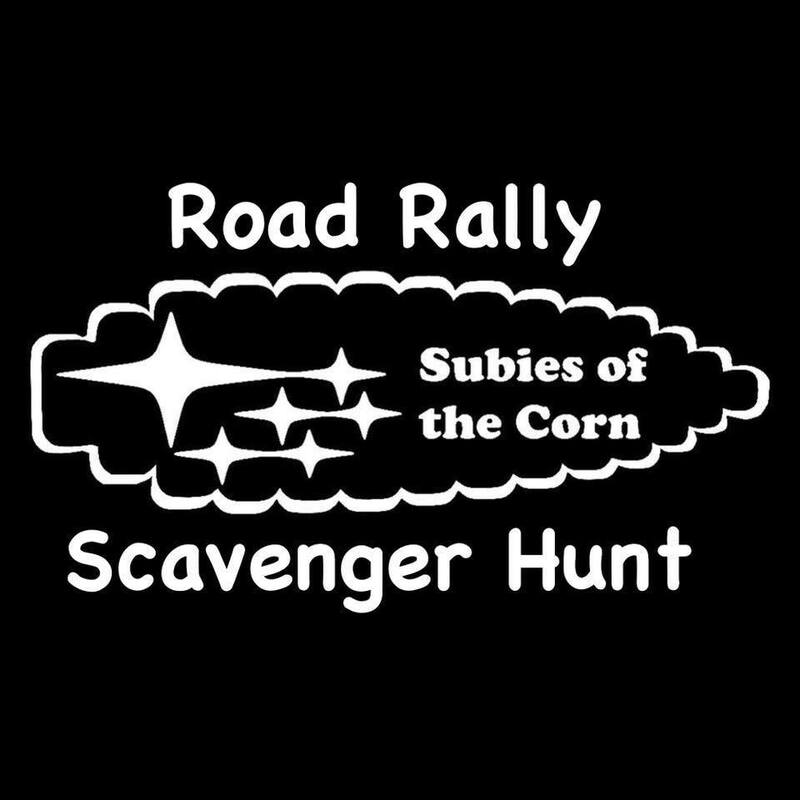 This is not a race, but an opportunity to solve puzzles and drive with 50-75 of your closest Subaru enthusiasts to solve the clues together!!!! The Scavenger Hunt portion will put you on a hunt to find the 1 hidden clue that has been strategically placed at each location. There is only one clue, so once you find it, you will have to work with everyone to figure out the next location. Everyone will cruise together as one large rally. The first 25 pre-registered and paid participants will receive a free event T-shirt!